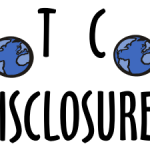 See the updates to the FTC disclosure guidelines here. Note: you don’t have to disclose your exact earnings on your blog (such as $1,000/year), you just have to disclose the fact that you do earn SOMETHING from your blog. Many people don’t know what to do when they start making money. 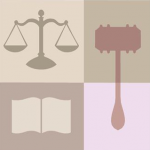 If you make any money on your blog from other businesses, you are required by law to disclose that fact. If you receive free glasses in exchange for a link or mention, you must disclose that. 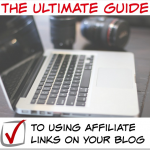 If you use affiliate links, you must have a disclosure policy in place. The easiest way to cover your back is to have a comprehensive disclosure policy on every page or post on your site. Take a look at these two examples of disclosure policy placement. LookBeforeSpending.com has this at the bottom of every post: “THIS POST MAY CONTAIN AFFILIATE LINKS. SEE OUR DISCLOSURE POLICY” and the full policy is linked. KatieDidWhat.com has the disclosure policy visible just under the post/page title on every page of her blog. A good disclosure policy can cover the majority of your obligations. Simply having the disclosure policy in place is not enough in some cases. If you write full sponsored posts about a company, you should disclose at the bottom of the post that the post was sponsored, or that “this post is sponsored content” while letting your readers know that all opinions are still your own. Free products DO count as sponsored content. You received something in exchange for a post or mention, and you are required to fully disclose that information. So, that’s the skinny on full disclosure. Now, if you look around at your fellow blogs, you’ll see a lot of bloggers not following the rules. Are they getting away with it? Yes. But do you want to be the one left holding the bag when the FTC comes knocking? I sure don’t. 1. If you use AdSense on your, having this information is a requirement of their terms and conditions. People have had their accounts closed for not disclosing. 2. 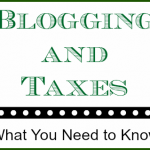 Not all bloggers are located in the USA, so the FTC’s regulatory power does not cover all blogs. Thanks again, and If you need a hand with anything you can find me at http://www.jasonmccuen.com. I am always here to help! Yes, AdSense does require disclosure, as does Amazon and many others, which is why it is so important for people to get on board with the idea of disclosing. Yes, not all bloggers are in the US, however this site is directed toward US readers… even so, law or not, all bloggers should disclose sponsored content and ads, it’s only fair to their readers to do so! Thanks for stopping by and dropping a comment! Cheers! These are not laws. They are guidelines and are voluntary. You do not HAVE to disclose anything about your income or earnings. While they are not laws themselves, they are interpretations of the law. I believe in doing things the right way and to me, an interpretation of the law provided by the government is as good as law. 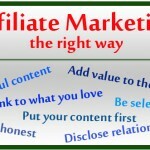 Additionally, most legitimate affiliates and advertisers will require people to have one anyway. Hi Sharon! I used a plugin called Simple Hooks, which only works for the Genesis theme that we use on Katie’s site. That said, there are other ways to do it as well. Do you mind sharing your site so I can take a look? I highly recommend Genesis! And for adding the disclosure on your current theme it would take a bit of coding. An easy way to make sure it’s on every post is to put a little text link in your sidebar with the disclosure link. Hi! Email me at zack@morefromyourblog.com and I can help you out with it! Hey Zack, Do we need to display this disclosure for showing Google Adsense ads and for affiliates is this applicable for a blog that is hosted and maintained from India?